While autumn may have been transformed into pumpkin spice season, we're still fans of simple fall nature hikes – and gorgeous fall foliage. 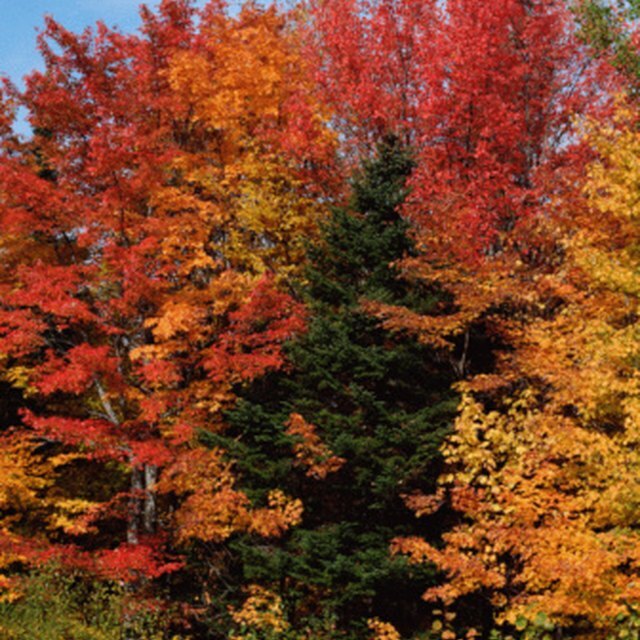 Biologically speaking, autumn represents a major shift for plants. The days get shorter – meaning there's less sunlight for energy — and deciduous trees (the ones that lose their leaves in the winter) need to start preparing for the icy months ahead. That physiological change is why the leaves change colors and, ultimately, fall off. Here's what's going on. But Let's Step Back: Why Exactly Are Leaves Green in the First Place? You may already know that plants generate energy via photosynthesis. During that process, small organelles called chloroplasts, which are packed with chlorophyll, absorb the sun's light and trigger a chain reaction. Ultimately, photosynthesis produces glucose, a sugar that the plant can use for fuel. (And, psst, you can read more about it all here). While chlorophyll absorbs much of the sun's light, it also reflects some light back into the environment. To be exact, it reflects green light – which is why leaves that are full of chlorophyll look green. Got It – So Why the Color Change? Remember how we said shorter days is one of the biggest changes in autumn? Well, those early sunsets mean that plants don't have as much time to do photosynthesis. So plants have adapted to respond to the shorter days and lower temperatures of fall, and they start to break down chlorophyll to prepare for the cooler months. As a result, the leaves aren't packed with so much chlorophyll that they'll appear green. Instead, you'll start to see some of the other pigments in the leaf. Pigments called carotenes, for instance, make leaves look red and orange, while ones called xanthophylls look yellow. Different types of trees have their own mix of pigments. That's why the maple tree in your front yard might turn a brilliant red, while the ash down the street turns yellow. Oak trees tend to have a mix of so many pigments that no one color stands out, which is why their leaves turn brown. You can actually remove chlorophyll from leaves easily at home, so you can see what other pigments are hiding in the leaves from trees around your neighborhood. Here's how to do it. Have you ever noticed that some years the leaves look absolutely brilliant, while others they're just kind of, well, nice? That's because the temperature and weather conditions affect how bright autumn colors look. Warm, sunny days allow the leaves to produce more sugar than usual – and use that energy to produce more pigments. So leaves can look especially bright after a few days of sunny, warm weather. Frost, on the other hand, tends to make reds less vivid – so if there's a sudden cold snap, you might see the leaves start to look dull. Even micro-changes in the conditions around the tree can affect when it turns colors. Trees that grow of the low ground of forests – which tend to be exposed to more cool air at night, since cold air sinks and warm air rises – change color more quickly than trees on the high ground. And trees in the city, surrounded by the warmer air of an urban environment, can take longer to turn. Leafless trees might not look as nice as autumn colors. But from a scientific perspective, how the leaves fall off is still pretty cool. It all comes down to a specialized layer of cells, called the abscission layer, that anchors each leaf stem to the branch. As the days get shorter, plants start cutting off "circulation" to the layer, slowly depriving it off food and water. Once its food supply is cut off, the layer starts to dry out and the leaf falls off. 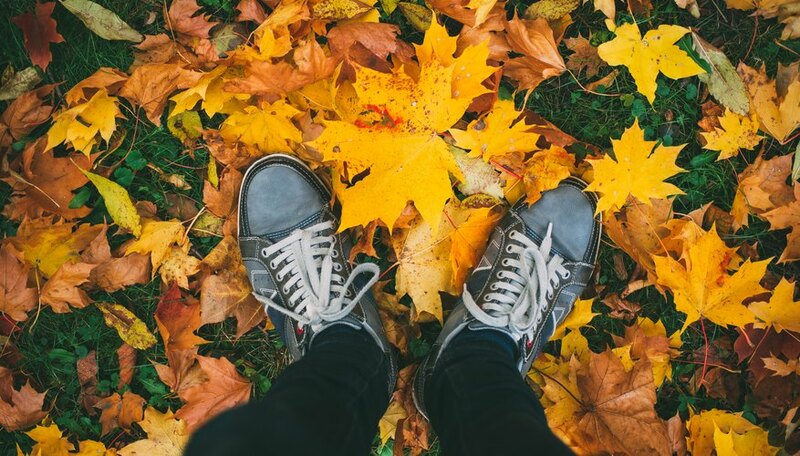 How long it takes for the leaves to fall depends on the weather, and if it's not a great year for autumn colors, the leaves can actually start to fall within days of changing color. So don't wait – get out there and enjoy the autumn foliage while you can! Tremblay,, Sylvie. "Why Do Leaves Change Color In Fall?" Sciencing, https://sciencing.com/why-do-the-leaves-change-color-13715424.html. 26 October 2018.